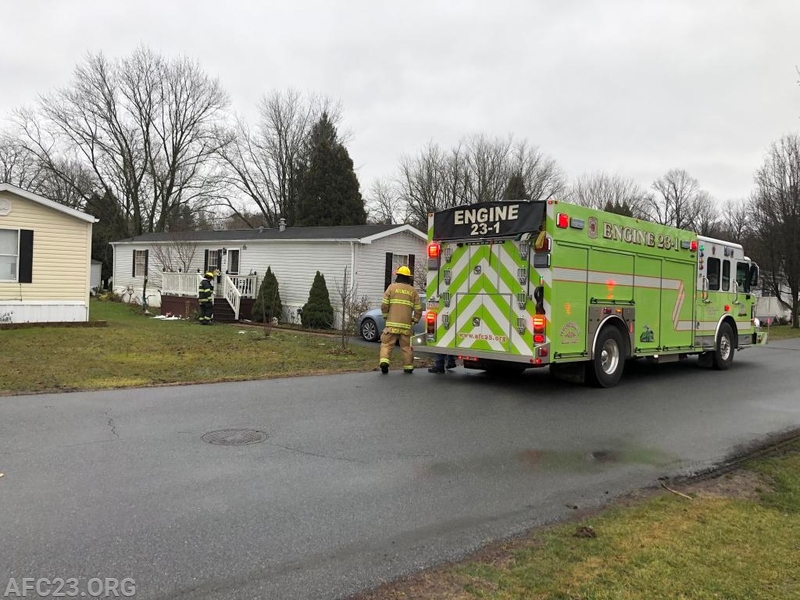 The Avondale Fire Company was dispatched to Roberts Way on Sunday morning for a reported oven on fire. Chief, Ambulance and Engine 23-1 went responding quickly after dispatch and received a report of a contained oven fire. As units were within seconds of arriving on location, a report was given to the chief that the caller stated the flames were spreading. With this information, the incident was upgraded. The upgrade added West Grove, Cochranville and Longwood for the RIT assignment. Units arrived to find smoke showing from the front of the mobile home. The engine crew pulled a hand-line to the front door. After further investigation, crews found the fire contained and the utilities were secured. Command reduced the assignment down to the Avondale units on the scene and Ladder 22 (WGFC). Units cleared at 11:37 hours.